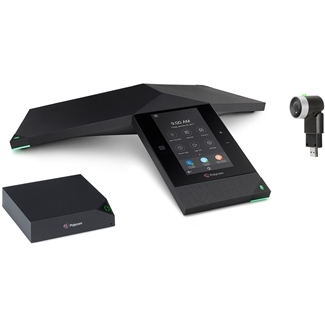 Get a Microsoft certified video collaboration kit with Polycom Trio 8800 IP Conference Phone with Polycom EagleEye Mini USB Camera and Polycom Trio Visual+! Trio 8800 comes with Skype for Business firmware preinstalled, streamlining the installation process. Get HD video conferencing through the Trio 8800 using the Polycom Visual+ accessory. The conference phone provides crystal-clear audio with 360° pick-up out to 20ft. Its touchscreen display takes on the familiar Skype for Business interface, enabling simple, gesture-based control. Integrated Bluetooth and NFC capability provide wireless device connectivity. 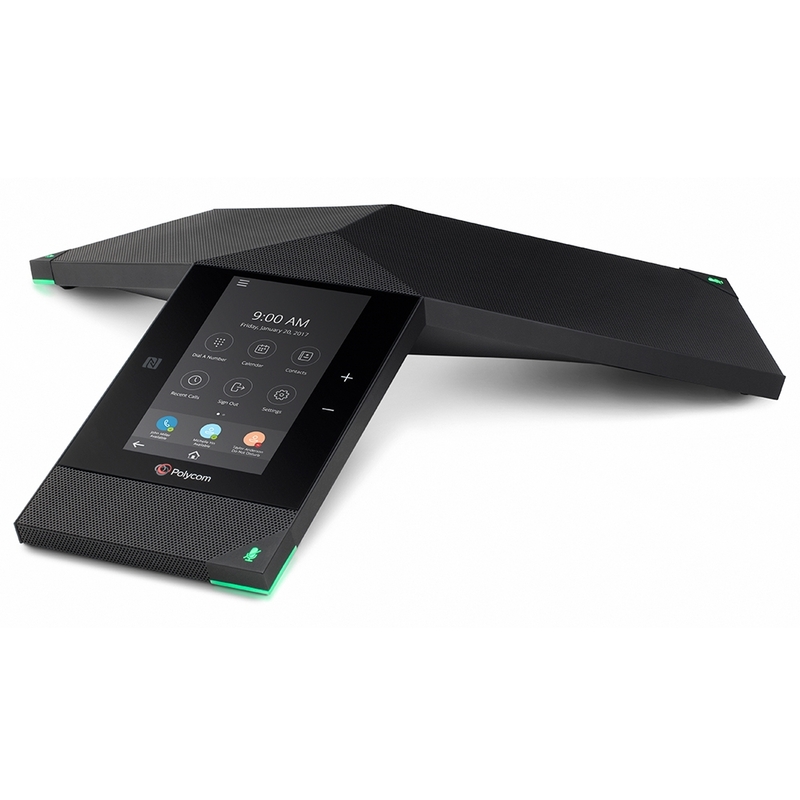 Polycom Acoustic Clarity technology enhances conference calls and Polycom NoiseBlock significantly reduces background distractions. Connect to the network using Gigabit Ethernet or WiFi. 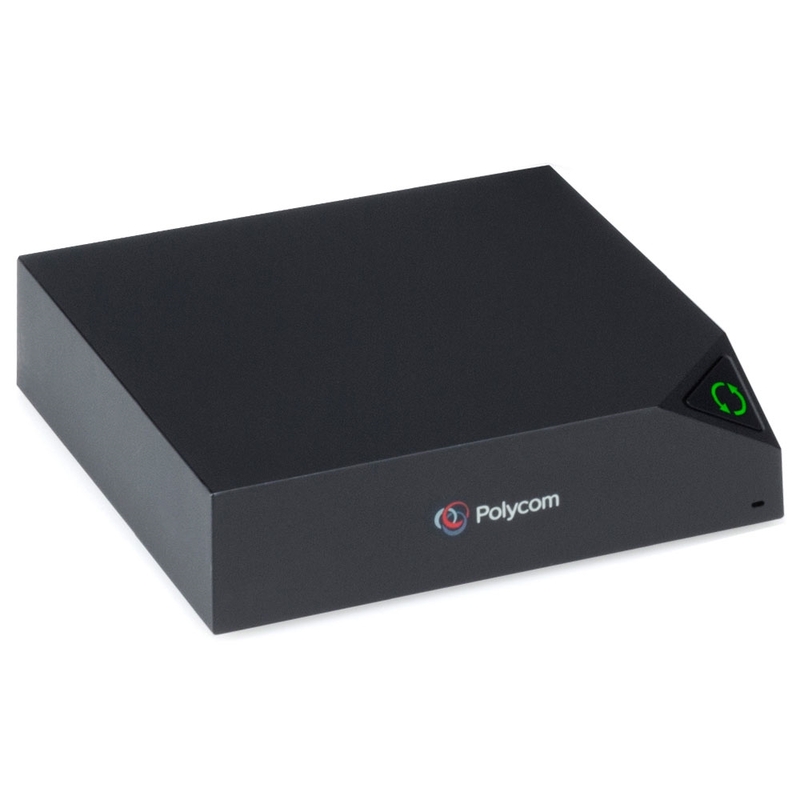 Polycom EagleEye Mini is a USB camera that provides a plug-and-play solution for video conferencing. 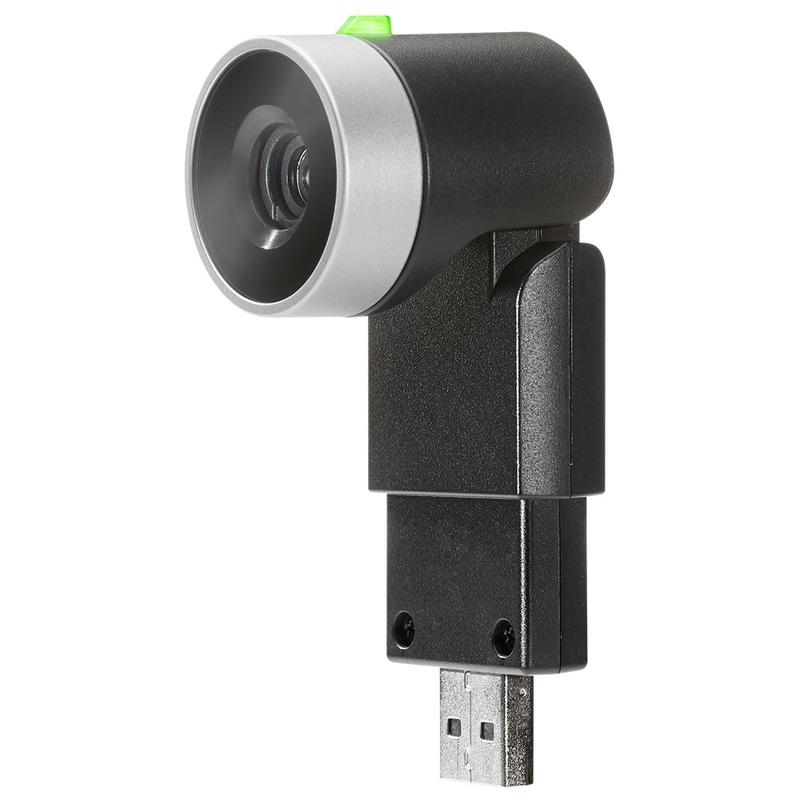 When connected to a compatible device, EagleEye Mini takes 1080p Full HD video with 24-bit true color. It uses a wide-angle lens with f/2.0 aperture to provide bright, detailed video in the conference room. This collaboration kit is intended for use with Microsoft Office 365 and Skype for Business applications. Note: Does not include power supply.